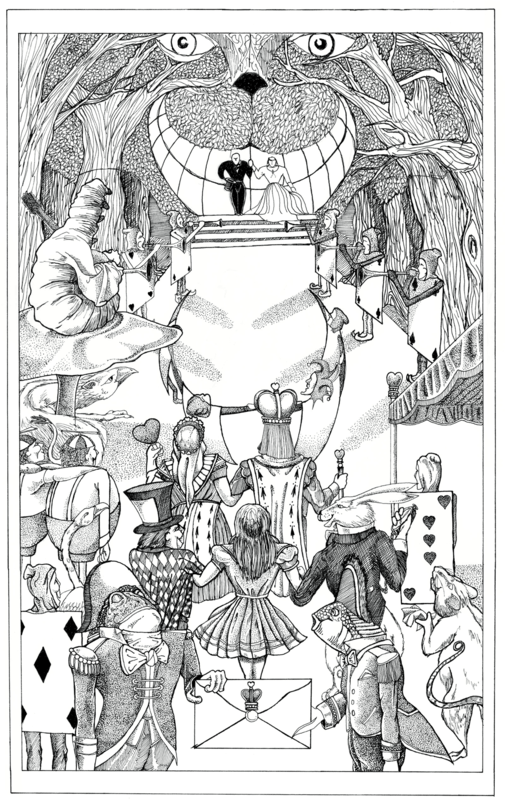 Wedding Invitation - Alice in Wonderland. Pen and ink on vellum. Approximately 11" by 17"
An illustration of characters from the Alice in Wonderland/Through the Looking Glass illustrator John Tenniel. This was commissioned for a wedding invitation. This entry was posted in Illustrations, Portfolio and tagged illustration, pen and ink, vellum.